Oh. My. Gosh. Can you say delish? I’ve never really cared for ricotta, I tend to use other cheeses in lasagna, but this made me a convert. 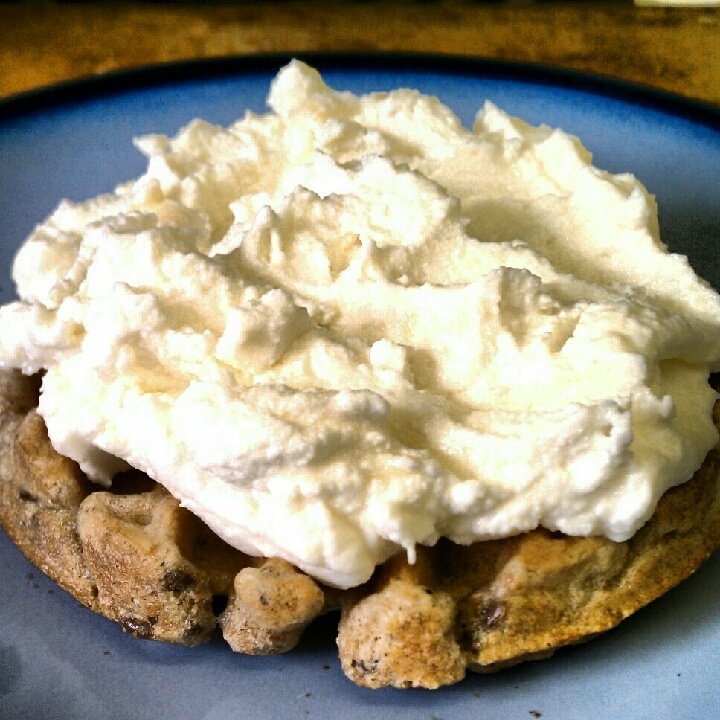 Start with a good multi-grain toaster waffle and part-skim ricotta cheese. I like these from Nature’s Path. 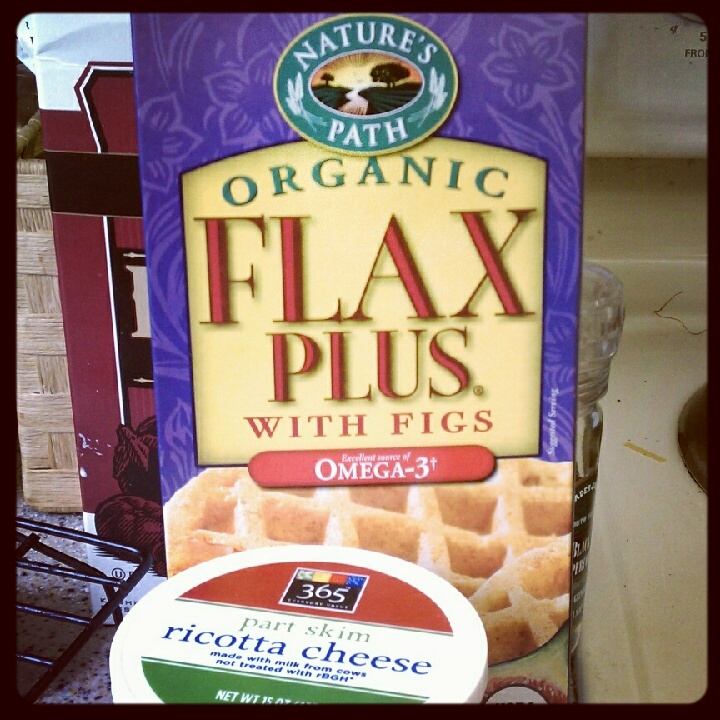 The figs add a nice sweetness, but Trader Joe’s has a multi-grain that is excellent as well. Toast up a waffle, nice and crispy. 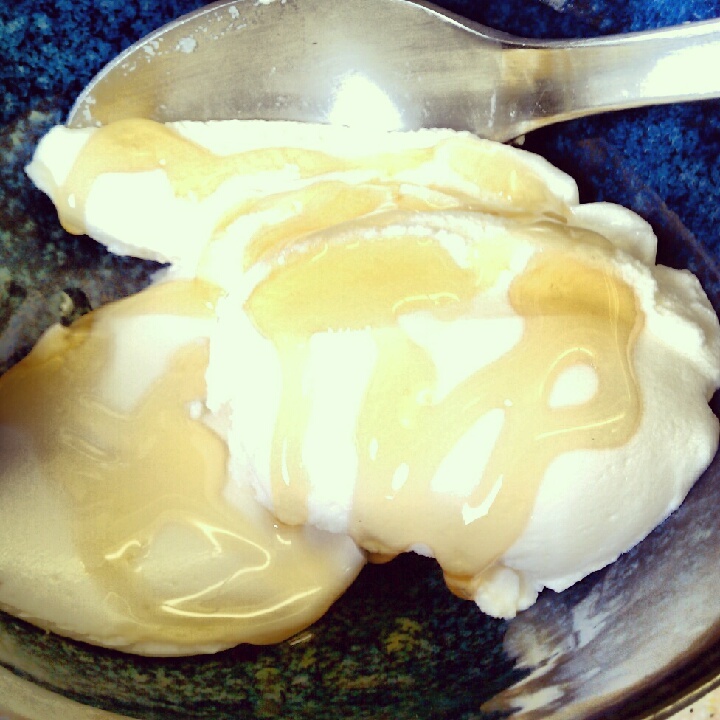 While it’s toasting, take about 1/4 cup of ricotta and mix it with 2 teaspoons of honey. Less, if you’re not as much of a sweet tooth at breakfast. 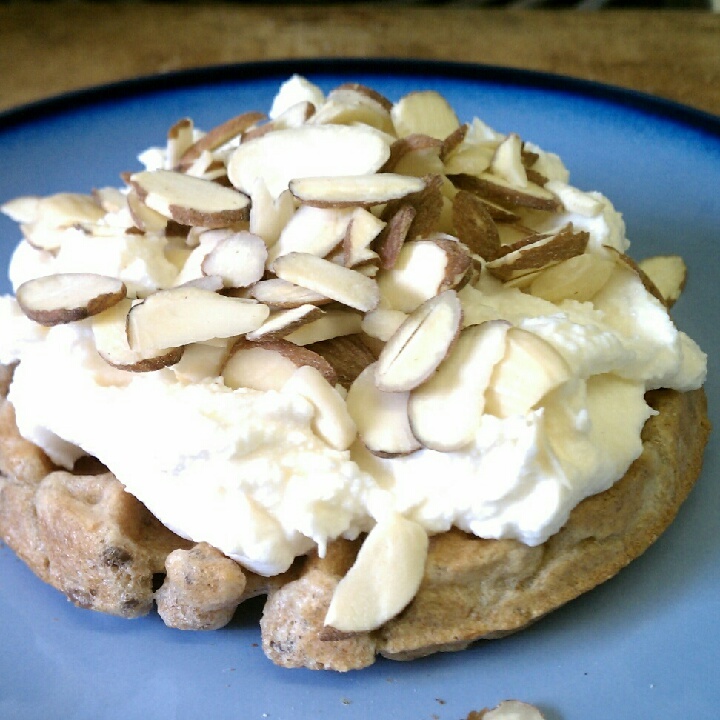 Top toasted waffle with the ricotta. Top ricotta with 1/4 cup of sliced almonds. You can toast them ahead of time if you’d like. I had some left over from the last time I made a salad, so I used those. You can mix the almonds into the ricotta if you want them to stick better. I was eating at home for once, so I left them on top. You can stop right here and eat it as is, but with so many gorgeous berries in the market now, how could you resist adding some extra fresh sweetness? I’m looking forward to trying this with strawberries or a fresh berry compote, too. It’s a surprisingly hearty breakfast. One waffle kept me more than satisfied until lunch time, and I was still a little full and had to keep lunch light. 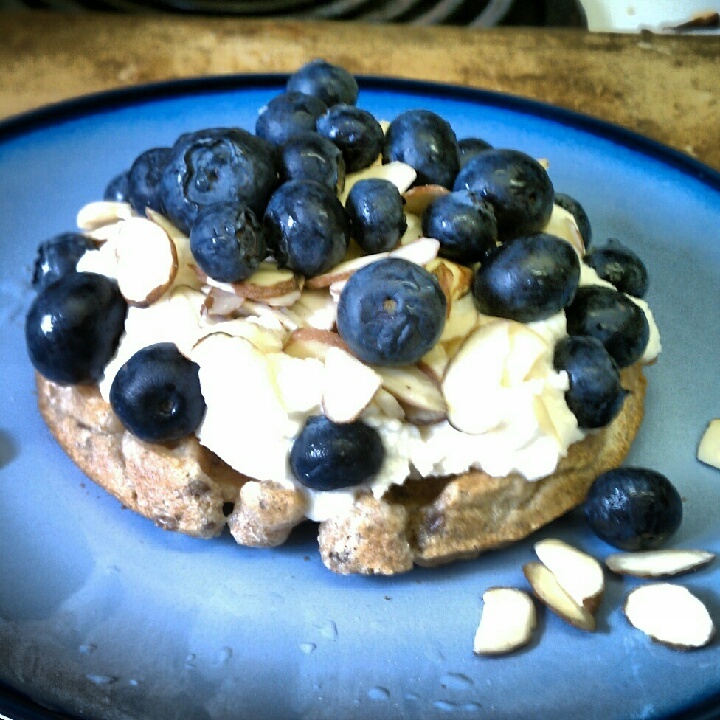 And with 330 calories, 14 grams of protein, and antioxidant-rich blueberries, I call that a win. How are you making use of the summer’s fresh berries? We love breakfast for dinner too! And I know what you mean…I never ate breakfast for years in high school and college. I still skip on weekends when I sleep late (who needs the meals when you’re sleeping until 11?) but it is the most important meal so now I always tuck a Clif Mojo Bar in my purse and eat it on the way to work. Saves me being ravenous at lunch time.